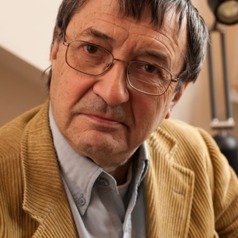 Colin Richards is currently Emeritus Professor of Education at the University of Cumbria and has been an honorary professor at the University of Warwick and a visiting professor at the Universities of Leicester and Newcastle. He has an upper-second class honours degree in Geography, Archaeology and Anthropology from the University of Cambridge and, after retirement, a first-class honours degree in history from the Open University. He has a PGCE (with distinction) from the University of London, a masters degree in education from the University of Birmingham and an honorary doctorate in education from the University of Greenwich. A former primary school teacher and deputy head he became a lecturer in education at Worcester College of Education in 1973 and a university lecturer at Leicester two years later. After publishing articles in a number of academic journals he became the first editor of the journal, Education 3-13 and in 1980 was the first person to be seconded to Her Majesty’s Inspectorate. He was an HMI from 1983 to 1996 specialising in primary education and in teacher education and holding the post of Staff Inspector (Curriculum 5-16) followed by that of Staff Inspector (Primary Education) and Ofsted’s Specialist Adviser for Primary Education. Since leaving Ofsted he has maintained a keen but critical interest in the issues of standards, primary and secondary education, the school curriculum, governance and inspection. He has written or edited some thirty books and almost three hundred articles. He is chair of governors of a Cumbrian secondary school which has voted twice not to seek academy status. He has recently been designated as a National Leader of Governance. He is currently Honorary General Editor of the Cumberland and Westmorland Antiquarian and Archaeological Society. As a critic of much (though not all) of past and present government education policy he is a frequent contributor to the national press (in particular to the Guardian, the Observer, the Independent, the Times Educational Supplement and Education Journal). He treasures the epithet “an old-fashioned HMI” bestowed on him by a former chief inspector of schools who meant it as a damning criticism!